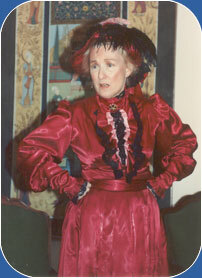 Dorothy takes on the persona of each of her characters, dressed in costumes that are accurate to the times. Some of the below stories can be combined depending on the desired length of the performance. Many other stories are available. 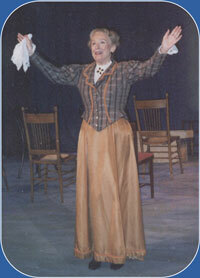 For each of the programs, Dorothy gives a short sound excerpt from the story. Just click on the title and follow the directions. If you are unable to get any sound, please e-mail me at DDAStory@yahoo.com and let me know what kind of computer you have and the specifics of your power, program etc that you have. I'll then pass this info onto my webmaster to see if we can accommodate your specific requirements. 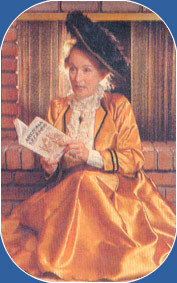 SHAKESPEARE FOR CHILDREN - Dorothy has enlarged her repertoire to include two original stories from Shakespeare's most beloved plays. A MIDSUMMER'S NIGHT'S DREAM takes place in a special forest. On one unusual night, the forest is overrun with two young couples in love, fairies, elves, goblins, actors rehearsing a play and a King and a Queen. People get lost and found and accidentally bump into each other Add magic to the mix and you get all sorts of mischief and fun. THE TEMPEST One dark night Miranda, the young daughter of a Duke, is dragged by soldiers out of her bed and spirited away with her father who is a very skilled magician. They end up on an island that is under a spell of a wicked witch who traps innocent people. The Duke with the help of Ariel, a young sprite he has saved, must break the witch's spell and help a now grown up Miranda find true love. Are there any broken links? Do you have any questions or comments?